With luck, ingenuity and some scientific know-how, Sudbury’s tailings ponds could become a new source nickel, copper and zinc. Researchers from Laurentian University, the University of Toronto and the University of British Columbia met at the Vale Living with Lakes Centre on Wednesday at a symposium to discuss biomining research. The value of residual nickel in Sudbury tailings amounts to $7 billion, according to recent world nickel prices. “There is significant economic interest, therefore, to use the eco-friendly processes being developed by (biomining) for remediation and base metal extraction,” symposium organizers said in a release. But as Papangelakis points out, researchers are less motivated by potential profit than they are by the prospect of cleaning up the tailings in environmentally-friendly ways. “The goal is to mitigate environmental damage and in doing so, try to recover as much locked metal as possible to make a profit and offset the processing cost,” he explained. Researchers have secured funding for five years, including $4 million from the Ontario Ministry of Research, but could expand their work to 10 years. Researchers hope to harness the naturally occurring microbes near tailings ponds to use them to metabolize the waste products. As Papangelakis points out, the bacteria are simply catalysts that facilitate and speed up the chemical reactions that would have taken place anyway. There are three broad research groups, each tackling a different aspect of the phenomenon. 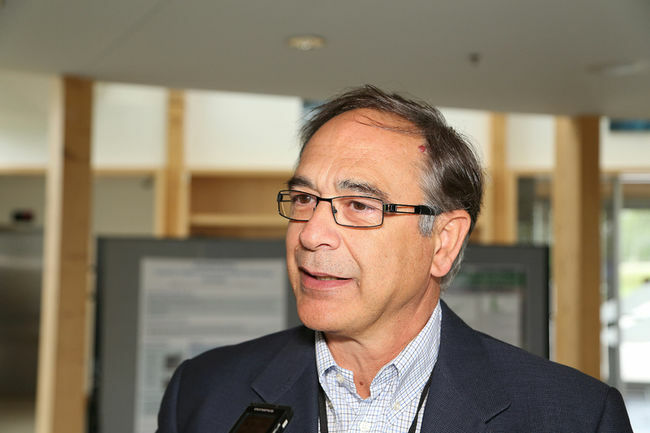 Papangelakis and his colleagues at the University of Toronto are working with tailings with a high sulfur content and 0.7 per cent nickel in a lab or reactor. “They have to put them somewhere else to do the chemistry,” he said. The group from LU will be doing passive, in situ treatment of the tailings. The group from UBC will look exclusively at effluent water, which contains selenium. The three universities will come together to help each other out and to “remediate the toxicity of tailings and effluent in the mining industry,” Papangelakis concluded.